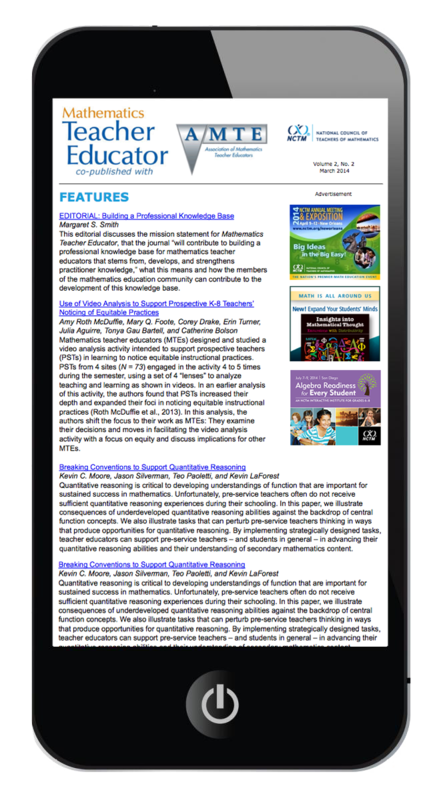 The e-Journals are sent to both print and online-only subscribers of Mathematics Teacher, Mathematics Teaching in the Middle School, Teaching Children Mathematics, and the Journal for Research in Mathematics Education. Contents include a web-linked table of contents for each respective print journal as well as additional online teacher resources. E-Journals are delivered the first weeks of the issue month, seven times a year—except for JRME, which goes out five times a year. Each issue offers three banner options on the right-hand edge of the update. In June and July, NCTM sends information to keep math educators engaged during the summer months. Include these special issues in your plan today, which feature the "best of" MT, MTMS, and TCM content. MTE is a joint online-only publication of the National Council of Teachers of Mathematics (NCTM) and the Association of Mathematics Teacher Educators (AMTE). This scholarly, peer-reviewed journal is delivered twice a year to more than 3,000 practitioners in math education who are NCTM and AMTE members. 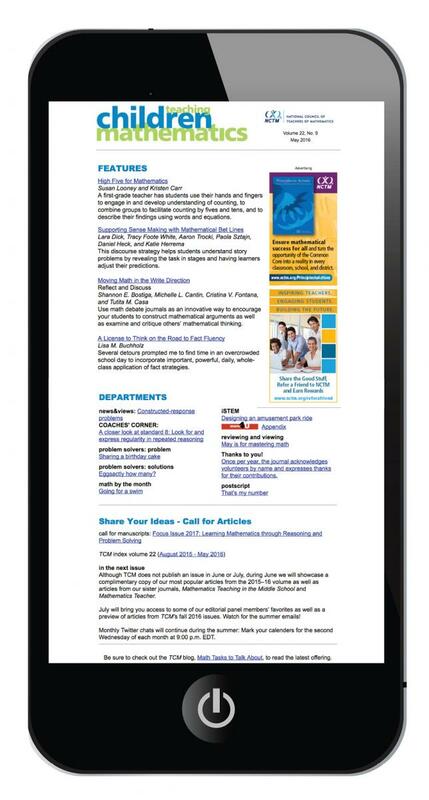 Reserve your space today in this highly regarded publication!